A candle can completely alter the environment of any room. It sets a mood, conveys a feeling—whether at the dinner table, or in the bathtub, the scent and ambiance are naturally soothing and provide a level of comfort unmatched. But there’s a greater science behind the feeling evoked by a candle, especially those made of beeswax. Your standard scented candle is typically made from paraffin wax, which is a petroleum by-product that results from refining crude oil into gasoline. Simply put, one of the key ingredients of your candle is the nonrenewable resource, oil. The wax is white, odorless and solid, and when burned, it emits harmful fumes and toxins that have been linked to asthma and lung cancer. 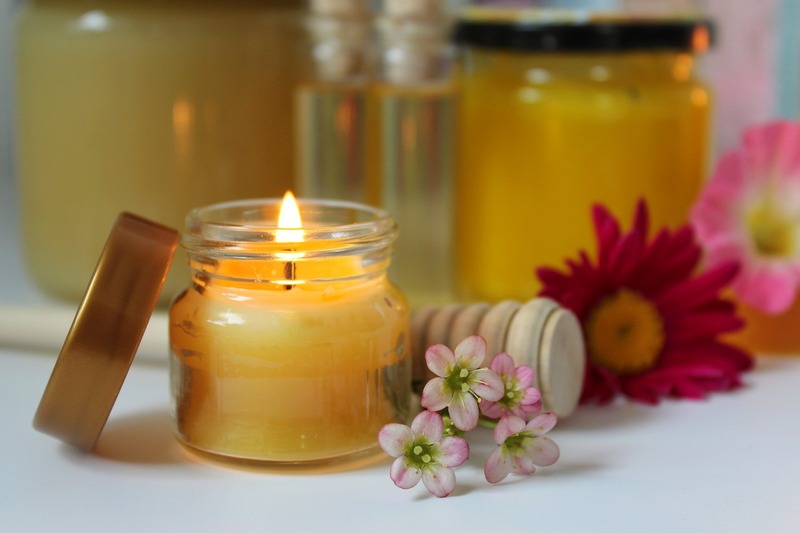 Luckily, paraffin wax continues to decrease in popularity amongst candlemakers and is instead replaced by natural base waxes made from soy and palm. Although arguably better for the environment and you, both the soy and palm industries are responsible for significant deforestation and habitat loss. It never ends, it’s all bad. But there is one remaining alternative: beeswax. Beeswax is known to be one of the first substances used to make candles by Egyptians. 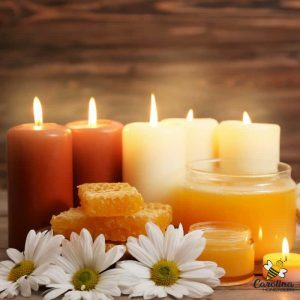 The first true candles made by Egyptians were made of beeswax, and to this day, remain a popular choice of candle because of its high burning point (they melt slower); neutral, natural fragrance of honey and flowers; and naturally nontoxic and hypoallergenic properties. Beeswax candles are also believed to have the profound ability to cleanse and purify the air due to the emission of negative ions. Negative ions are found in large quantities in nature, typically in forests and mountains, or by bodies of water like waterfalls and the ocean. Negative ions do improve air quality and purify airborne toxins, which is why natural habitats are typically abundant in them. Also, the presence of negative ions in the air presumably causes chemical reactions in the body which increase serotonin and energy levels and relieve stress. Beeswax candles help set the mood, light the room and bring intention to any ceremony or celebration. Although studies have not been done at length to scientifically prove this, it’s not to say that beeswax, being the result of an extensive and complex natural process, can’t emit elements beneficial to humans. 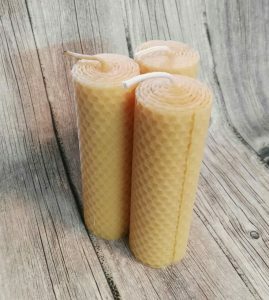 Ultimately, beeswax candles are chemical-free, biodegradable and emit nothing but sweet-smelling natural fragrance and a warm, golden light suitable for adorning homes, igniting romance, accompanying ceremony and soothing the senses.